As you get older, you realize you need balance. If it’s not fun, what’s the point? 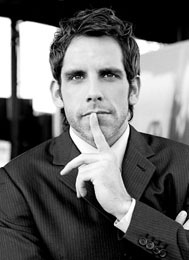 Benjamin Edward "Ben" Stiller (born November 30, 1965) is an American comedian, actor, writer, film director, and producer. People like to define you through what they’ve seen you do … There are aspects of my personality, I guess, that come through on-screen, but I don’t sit around thinking, I’ve been a bumbling suitor all my life. When I didn’t have a family, I was much more of a workaholic … I still like to work, but I also want to be home with them. As you get older, you realize you need balance. If it’s not fun, what’s the point? This page was last edited on 25 August 2018, at 22:48.